TUESDAY, Oct. 30, 2018 (HealthDay News) -- The U.S. Food and Drug Administration on Tuesday said that hair dyes can no longer contain lead. The new rule does not take effect for 12 months, but it ends the only remaining legal use of lead, a neurotoxin, in cosmetic products in the United States. "In the nearly 40 years since lead acetate was initially approved as a color additive, our understanding of the hazards of lead exposure has evolved significantly," FDA Commissioner Dr. Scott Gottlieb explained in an agency news release. "We now know that the approved use of lead acetate in adult hair dyes no longer meets our safety standard," he added. "Lead exposure can have serious adverse effects on human health, including for children, who may be particularly vulnerable. Moreover, there are alternative color additives for hair coloring products that consumers can use that do not contain lead as an ingredient." For the most part, the hair dyes that now contain lead acetate, such as Grecian Formula, are used to darken gray hair, according to the Environmental Defense Fund (EDF). Along with new scientific data, the FDA's decision was prompted by a petition opposing the use of lead as a color additive. "In the last several decades, we've seen tremendous progress in reducing exposure to lead from major sources. Given this progress and wide recognition that there is no safe level of exposure, it may seem unbelievable that common hair dyes contain the neurotoxin -- putting those who use the product and their children at risk," said Tom Neltner, chemicals policy director at the EDF, one of the groups involved in filing the petition. "[The] FDA's decision is an important step to protecting people from a continued source of exposure to lead that is a more significant route than the agency originally thought over three decades ago," Neltner said. Now, there is no safe level of lead exposure, according to the U.S. Centers for Disease Control and Prevention. Companies have 12 months to reformulate hair dye products that contain lead acetate. Consumers who want to avoid using these products during that time can check to see if lead acetate is listed as an ingredient or there is a warning label that states, in part: "For external use only. Keep this product out of children's reach," according to the FDA. 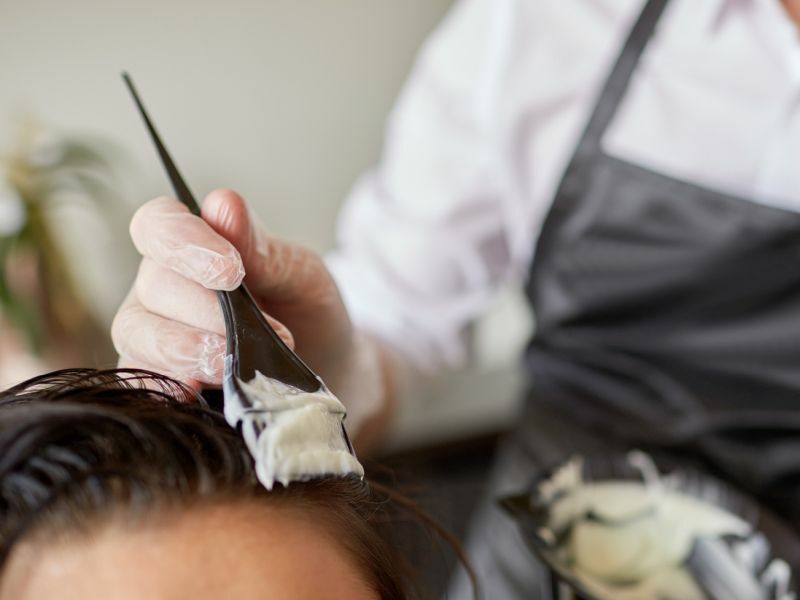 Some hair coloring product manufacturers have already started using another color additive that does not contain lead as an ingredient, the FDA added.